Why Is Kitchen Design Not Free? We have all seen ads for “free interior design” from big furniture stores and “free design with purchase.” Right? So why do so many designers charge for their services? There are a few things in play here. First the retailers who offer “free interior design” typically hire inexperienced designers attending college or that “designer” is technically a decorator without an education, however is a proven salesperson with a good eye for style or that can copy what they see others do. These store designers are also limited in their design offerings to you to what their store sells. Leaving very little room for creativity. Second, in order to open accounts with wholesale pricing, deep enough to be able to make a profit, most furniture and cabinet manufacturers require the distributor to have a showroom to display their products. The lease, fixtures, utilities, product and man hours to maintain a showroom come at a hefty price, especially with all of that lighting! Then add on the wages and commissions to those “free designers.” Because face it, nobody works for free. Third, kitchen and bath designers use complicated software to produce accurate work. The software packages are linked with the manufacturers libraries of current products and price lists, that are ever changing. As the designer creates the design, the software draws the plan, while simutaneously creating a parts list for the order process and prices it according to the clients selections. A process by itself can take hours and errors can be easily made by hand. These invaluable software programs increase the designers efficiency for their clients and cost effective for the firm. However, their yearly license fees are amoung the highest in computer software, typically costing thousands per year per computer. Oh and did I mention in order to run these beast software packages, it takes a beast of a computer to run it? Finally kitchen and bath design is the most complicated design aspect of any home. We have all been in a poorly designed kitchen that makes it a hassle to make coffee, let alone a full meal, am I right? K & B designers go through specific training and education in addition to design college and have years of experience. There is so much more than just selecting materials to make it look dreamy. That’s the EASY part believe it or not! The hundreds of calculations to make sure everything fits. The thourough and thoughtful process to insure doors do not clash, the space has the best storage and function options specific to the clients needs. While adherring to building codes to insure the safety of the design from slippery floors, proper lighting, fire resistant materials and clearances, electrical, plumbing and ventilation needs and precauctions. Good kitchen and bath design is a complicated symphony produced by trained, experienced designers armed with the proper tools and relationships to bring a safe, functional, beautifully creative space come to life. So if you’re going to go through the inconvience, the mess of a remodel and spend your hard earned money, why wouldn’t you WANT to have it done RIGHT? 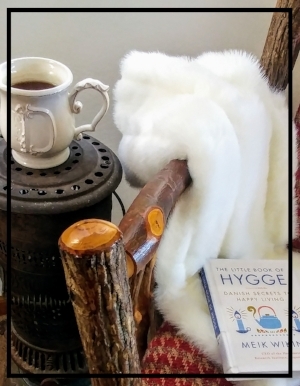 Hygge - Have You Heard of It? Surprisingly we hadn't until recently. With it being a hot new topic involving our homes and style, we just HAD to check it out and find out what all the buzz was about! So, we started our journey by tracking down a copy of 'The Little Book Of Hygee - Danish Secrets To Happy Living' by Meik Wiking. As I sat down and started reading, the first chapter immediately grabbed my attention. Why? Because light is a BIG part of the heart and soul of my personal design beliefs. Meik was speaking my language! Then chapter by chapter, I kept finding myself nodding and giggling as I read along. It was one of those books I found hard to put down, and by the end I had an interesting discovery. Who knew! I'm ALREADY HYGGE!!! Ha!! Which is GREAT news for our clients who need a little hygge in their life, right? Stay tuned for more blogs and posts on our social media. For now, here's a sneak peak of what it's all about. Bigger is Better - More For Our Money! Right?? Warning, it's a long one! Recently a colleague posted about how much unnecessary packaging there was in a simple bottle of vitamins. The bottle was two thirds filled with cotton, the actual vitamins only occupied one third of the space in the jar. Many reason were tossed around along with other examples of excessive waste in packaging. One reason manufacturers do this is as Americans the "Sheep of the Big Box Monopolies" - we associate value with size. A bigger diamond should cost more, a bigger house cost more, a bigger case of tomato paste HAS GOT to be a better value! Heck for years environmentalists preached, wise shoppers buy in bulk, it reduces packaging in the landfills! The larger the better! Less waste they said! At that time, it was true - why? Manufacturers used to actually put MORE IN that package. As times went on we resisted price increases, buying less often or chose a lower priced competitor instead. So instead, they kept the same size packaging and price point and decreased the amount of products in the containers. They've gradually decreased the amounts, thinking we wouldn't notice. For liquid products, we started seeing those noses poking up through the bottom of the bottles, so they still looked full from the outside. When it comes to everyday essentials, our society would rather spend our cash on FUN things right?! We constantly look for ways to S T R E T C H our budgets and products that satisfy our needs with our perceived value get the sale. Thus the BIG vitamin bottles! We've all said it, " Are they serious? $30 for THIS LITTLE BOTTLE?" Most would walk away, reach for a better price or go to that big box monopoly again. Ok so how does this rant of excessive packaging, increasing waste in our landfills and pollution by increasing our environmental footprint do with design? DISPOSABLE FURNISHINGS! Remember the tricky grocery item scams, hiding what you won't notice? Guess what! We've been tricked again... And as a society we not only ALLOW it, we BUY INTO IT! We've watched home prices soar in the last 30 years. But we still expect to pay the same price for the furniture to go in them. How does that add up? People still expect to pay $1000 for a good quality sofa to last 20 years, $150 for a coffee table, $50 for a dining chair... right? So then I must be CRAZY when I show clients a $5,000 sofa, right? Because we still see ads every day confirming we are correct. The part that has changed? The insides - the quality - the expected lifetime of the piece. That $1000 sofa today is made of inferior cheaper products, thin MDF board or even worse a HEAVY CARDBOARD! (We're not joking) The thin material is cut half haphazardly, joints don't match up and are stapled together creating a weak joint, strong enough for you not to notice or assume you abused it when it breaks. Support is plastic webbing, rounded arms are created with a cardboard base. Inferior toxic foams are created in other countries without as strict environmental regulations create your new cushions for you to cuddle with. They are meant to last a MAXIMUM of 5 years. However, if it is your main sofa in your family room and receives daily use, it's dead in 2 years, maybe LESS. $1000 sofas USED to last 20 years, right?! So over 20 years, we insist on not spending more than than a $1000 each time and we replace that sofa 10 times. We've now spent $10,000, but it didn't seem like it because it was stretched out over time. And each of those sofas were shipped in a container overseas to the US and then trucked to your home 10 times, 10 times the amount of materials were used to create those sofas, 10 sofas off gassed their toxins into your home, there are now 10 sofas sitting in our landfills and remember that lovely toxic foam? Yep, it's now polluting our landfills! BONUS! Back to that $5,000 custom American made sofa, yep, do the math, it's HALF the price! And what do you get? It's made with solid hard wood frame or furniture quality 5/8" thick plywood with mortise and tenon joints that are glued and screwed together. The seating systems using US steel 8 way tied springs, foams and fills that were produced in the USA to our stricter regulations, where most of the products used in construction are made or harvested in the USA employing even more of our neighbors. It doesn't have to be shipped in a container overseas to get to you, there's only ONE truck and ONE delivery, shrinking that footprint, and it's made to last 20 years. Wait! What? They STILL make things that last?!! No way you say! Yes! It's true they DO! They are simply at today's actual cost of goods and not last centuries. So you may think I'm crazy when I show you a $5,000 sofa, yep! I sure am! Crazy like a fox! Think about it, watch what you buy and how you receive it. Just how much is your convenience worth today vs the planet your descendants will have in the future. Sure it's only ONE plastic bag... right? Only ONE water bottle... they can't possibly add up to be that big of a deal, right? Since we haven't found another planet to inhabit and ruin like Earth and we don't have spaceships to rescue the planets populations like in the movie Wall-E, this is it, the only one we have. So, speak up and buy the product with the less packaging, do your shopping in one trip, not box by box, save a little longer for the right piece of furniture, you'll be happy you did. When you're ready to pack it all away, whether that's the day after, New Year's Day or the 12th Day of Christmas, (January 6th). We have a few tips to make it easier when you go to decorate next year! BEFORE you take ANYTHING down, take a few pictures. As we get busy with our lives it's easier to repeat what we've done before if we have a map! Especially if you LIKE what you did this year. ;0) Then file those photos in a digital file you can easily find them next year. Clean. It doesn't matter if your decor has been up a week or since Thanksgiving, dust, clean up and launder items as you take it down to pack. That way there's no surprise mystery stain that has set over the last 11 months when you go to put it out and everything is ready to go! While you're at it, fix anything that needs a little TLC or toss out broken items. It's also a good time to weed out those items you don't use any longer and donate them. Lets talk containers. You want the containers to provide protection for your delicate ornaments, so if your storage area leaks, make sure they're waterproof. Or if you tend to have mice, cardboard is easy for them to chew through. Eww! And I learned a long time ago... they love to knaw on dried fake berries? Why? No idea... just don't risk it! Wreaths. A wreath container is handy, especially for your ornately decorated ones, but if you have lots of wreaths, it gets clustered quick! Plain wreaths can be layered in a square box to save space. Ornaments. Ornament containers are also neat, a separate space for each ornament, but not necessary, wrapping each ornament in tissue or bubble wrap and carefully nesting them in a medium sized box works too. 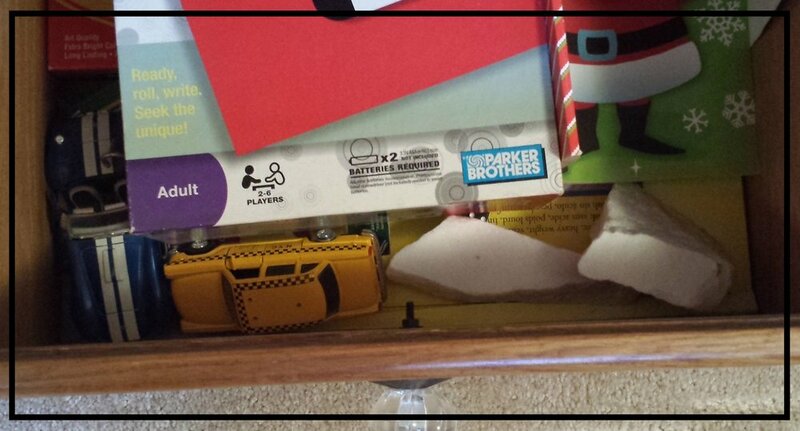 Try to avoid newspaper or printed wrapping paper, you don't want any of the printing to rub onto your ornaments. Egg cartons! Smaller bulbs fit perfect! And are kept safe. And of course their original boxes are great ways to store ornaments too. Lights. Light strand spools are awesome and they even make storage bags for them now! If you have these, wrap the lights the opposite way you put them up, so in my case I start with the "dead" end when decorating, so I wrap the lights up starting with the plug, that way, I can unwind the lights as they go up! If you don't have the fancy spools, you can wrap lights around cardboard, an empty gift box or twist tie or cable tie each strand together in a loop. Another quick tip. plug the ends together to protect the prongs while stored away. Group like items together. We all know our lives change from year to year, some years we have more time to decorate, sometimes we want a cleaner look, sometimes we want an elaborate look or sometimes we want to create a magical space for children and sometimes we're just not in the "mood". So, pack similar things and areas together. For instance, we usually have a few trees that we decorate beyond the main tree. Keep each tree together, in case you only want to decorate one tree, you don't have to pull out ALL the boxes. Same goes for mantles, garlands, etc. Then pack similar items together, like pillows and throws, dishes & tabletop, village props, wall hangings, wrapping supplies, stationary, pine garlands, etc. Note: When you take down garland, attach a note where that strand goes, ie, stair rail, window, doorway, mantle, etc. And if you have more than one or more than one section of stair railing, note which ones. You'll save yourself time on figuring it out! Of course label your boxes if they're not see through tubs. Of course, not everything has to be packed away in boxes. If you have room in your kitchen cabinets, the seasonal dishes and tableware can be stored on an upper shelf or pantry cabinet or your dining room buffet. Hand towels, dishtowels, throws, tablecloths, napkins, etc can be stored in your linen closet or the vanity cabinet. Finally, some Christmas decor is actually "Winter" decor, keep it out! Those neutral warm throws and pillows, florals, white lights, garland, pinecones, once you take the shiny bulbs down, it's just decorative greenery. Stings of berries, I take the berry sprays from the tree and put them in a vase as a centerpiece for the dining table! Those snowball bowl fillers... yep! Snowflakes, icicles, berry sprays, garlands, furry pillows, cable knit throws, winter pictures, it all helps in preventing the dreaded cold, boring January blues! Deb, You're Christmas Lights are STILL ON?! It's January! YES!!! My white twinkle lights are still up and on! Am I crazy? YES! Crazy like a fox! As a society we are used to white lights at Christmas and decor for special occasions. We love the warmth of our homes and event spaces where they are used. During the holidays our homes feel warm, safe and full of love, right? Then in January we take it all down and suddenly our homes feel bare, cold and lonely. WHY??!!! Winter is when we spend the most time awake IN our homes! It's the time we should LOVE it MOST! As designers, we speak in terms of layering lighting in our spaces, each different types of lighting has different purposes, they are not meant to be multi tasking. We have ambient lighting, task lighting and accent lighting. Ambient lighting is for overall, general lighting, for safety to navigate down a staircase or down a hall without running into a door jam, to find something in a closet or cabinet or stepping on that stray toy (dog or child). These lights in living spaces like our living rooms, dining rooms, etc should be on dimmers to lower the level of light and to increase it only when we really need it. Task lighting is exactly what it sounds like, it's to keep us from trimming our fingertips in the kitchen, to help our eyes at a desk or in a reading chair or working on a task or craft. These lights need to be closer to the subject at hand, in the form of a table lamp, a floor lamp, a pendant 30" above a countertop or under cabinet lighting, etc. Then comes the accent lighting, where most people think, ahhh that's just a luxury, right? Like accents and accessories! It's not a necessity, it's nice, but maybe later... Is a relaxing evening at home a luxury? Having your kids settled down and in bed by bedtime a luxury? If it is, wouldn't it be heaven if it happened more than once a month or a year? Do you have issues falling asleep at a decent time? Suddenly it doesn't seem like as much of a luxury does it? So how does accent lighting solve these issues? It's simple, our bodies are anciently wired to associate fire with warmth and security. Since we no longer live in caves or have fireplaces for our only source of heat, lighting has taken over this function. Have you ever noticed lighting in a fast food restaurant vs a 5 star restaurant? Fast food industry needs to not only serve fast, they need their customers to move on and go fast too. They fill their spaces with bright lights, bright colors and hard cold surfaces. We're not inclined to spend hours lingering about. We find ourselves eager to get on with our day. Whereas a luxury multi-course restaurant has lower light levels, soothing color schemes, & really comfy seating, why? They WANT you to linger have that extra glass of wine, stay for coffee and dessert, right? The longer you stay the more $$ you spend & the bigger the tip. We find ourselves relaxed, calm and enjoying the moment. Which type of accent would you rather have when you walk in the door to your own home at the end of your day? Obviously from my photo, I choose the latter. How do you go about making your home warm, welcoming, calm & comfortable after the holidays? We take clues as to what works during the holidays. This is where those white lights come in! They add low level accent lighting, we tend to turn off the bright lights to enjoy their warmth even more. So, put them on a houseplant, above the cabinets, along the mantle, add candles real or battery operated. Those little battery fairy lights in vases or in floral arrangements. Even picture lighting, for that great family portrait whether it's in the living room or the hallway. Dot them around your rooms, place them in front of a mirror or any other reflective surface like crystal, silver, gold, etc. even a corner of white walls! and it will reflect the light a little further into the room. Put these lovely sources on a timer so that they are not another chore to take care of and your home will have a warm glow the second you walk in the door. In kids rooms, hang them across the ceiling, instead of the bright, blinding overhead light, nothing is worse than getting them calmed down only to turn on that bright light and ruining the mood, right? (Hang them high enough and well secured so that they don't pull them down of course!) While you're at it, change those bulbs out to a lower wattage, 40w instead of 60w will make a huge difference for when they do flip them on ahead of you, but I promise if those twinkle lights are on, they most likely will lay off the switch. And don't forget the bathroom! So many homes have light bars with multiple lights and for some reason the go to wattage is 60w. Three of those puppies in a standard 5'x8' bathroom and suddenly it's bright enough to land a plane! And here you are trying to give your kiddos a relaxing lavender bath to coax them to sleep. Ugh! Change out those bulbs momma! Try 20w or 40w to see what works best for you depending on the reflective qualities of the room, you still want it light enough to do the task at hand, but not so bright that it energizes them again. Darker rooms need more wattage, brighter ones need less. Your bedroom, many people are finding themselves retreating to their oasis at the end of the day and working, watching tv, reading. catching up on social media, etc for an hour or several before turning in. Of course, we know that evil blue light emitted from our devices are keeping us awake, but beyond putting those devices down 30 min before we want to sleep, here again we want to assess the level of light, those evil overhead lights again... you know what to do dim it or leave it off completely. Have sufficient bedside lighting, lamps need to be tall enough to cast light to your LAP, not your eyes. Soft layers of light with candles, fairy lights or white lights around the room on a timer can help with the mood and create a relaxing atmosphere. If your master bath is open to the bedroom, remember the tip from the hall bath of lowering the wattage in those light bars, yep do it here too, but keep in mind, you still want enough light to apply makeup, shave, etc.. Consider a dimmer on those lights as well, so that you don't blind yourselves just to get a glass of water or wash your face at night and this way you don't disrupt your partner as badly either. Need an even better reason? That relaxing bubble bath you've been craving... add your candles and dim those lights! Make sure you have dimmer switches on those bright overhead overall lighting fixtures in your home to relax the light and bring down the energy in the room for during dinner, have a candle on the table, yes, even with littles at the table. Take it from a mom of 3 boys, it works! We went from rambunctious to enjoyable family meals in one night! WITH a toddler at the table. Kid you not! Of course they were still boys and conversations tend to get a little lively, but it was not near the circus it was prior! Even if you don't have little ones running about and it's the two of you or your kids are teenagers, how many times do we run off from dinner to go back to the phone or ipad or tv? Put a hurricane on your table with a pillar candle either real or battery operated and wa la! Or a rustic crate with mason jars with candles if that's your style, or traditional candlesticks for an elegant setting. (And IF you're using real tapers that melt and drip wax on your tablecloth... FREEZE the candles before you light them, the wax will burn slower and will drip far less, even the cheap ones!) Create a relaxing dinner tradition and watch quality family time unfold. So, if you eat in the kitchen area, put a dimmer switch there, if it's in the dining room, a dimmer switch there, those cavernous living rooms with the can lights overhead? Dimmer switch again. Give yourself the ability to lower your light levels to a comfortable and relaxing amount, instead of giving into the fast food scenario in your own home. Outdoors - ok so most of us it's too chilly to be outside for a long period of time in the winter, but think about how we adore those fun light strings strung above us on a summer's eve as opposed to one bright spot light to illuminate your BBQ or a girls wine night. Same thing, it's warm, it's fun and inviting. For those of you in southern warm regions you can use this tip now, the rest of us can use it when the temps warm up. And for those adventurous winter loving people who love a good cold evening out around a fire pit, this is for you too! Between my grandmother passing away a year ago at the age of 95 and my parents deciding this summer to downsize, sell their home of 43 years and move across state. My house is starting to look like an episode of hoarders! Every time I visit my mom, there's another "bag" for me in the spare bedroom. Just the fact that I had to start returning bags, because they were cluttering up my house was crazy, and they were all shopping bags, not the fancy ones you buy, the fancy ones the stores hand out! Yes, my momma can shop! Any who, granted, there have been some great scores, like hanging file folders for the office and a box of really nice hangers. (Mine seemed to disappear each time a boy moved out.) A treasured photo of my great grandmother that my grandmother kept on her dresser. But then there are things like an old Sucrets box full of needles, all shapes and sizes! So ok, they could come in handy some day… then there's things like the postmaster list for the state from 1973… WHY????!!!???? Oh and don't forget 1975 too!!! Don't let me put those on my bookcase just because! And clarity hit me like a train! It was time to clean out and clear out! Our house is already full of our own jazz and "stuff". We merged our two households together along with our 5 boys into one abode 13 years ago. The boys have all moved out of the nest and are on their own, leaving behind little trinkets for mom & dad to store. Ugh! So, I created a plan, I was determined to go through the ENTIRE house, every closet, cupboard and drawer! As I tackled the first dresser, I found old useless Christmas gift receipts from five years ago, pretty sure those warranties are expired! ;0) A random pair of funky shoe laces… old clothes, some that were worn out, some that once they got home, never looked as good again as they did at the store, so I was happily clicking along sorting into keep, toss and give away. I used the old adage that goes something like this: Do I need this? Do I Love this? Does this mean something to me? Is it worth anything? Quickly I processed 5 of the 6 drawers. I open the final drawer and there they were, those "trinkets" left behind by my youngest. What lovely gift did he leave his beloved mom? ROCKS. Yes, good old rocks. But they weren't your run of the mill rocks, oh no! As many of you know, we live in Colorado. Years ago when he was studying earth science, we took a trip focusing on geology. We started the day at the old marble mines in Marble, CO and ended up touring the Fairy Caves in Glenwood Springs. If you have ever seen Colorado marble, it is simply beautiful, pure sparkling white! That's why it so popular with sculptors.. Well, the canyon is littered with marble pieces from previous train accidents back in the day and he of course found a few "gems" for class, that he hoped to someday sculpt into his own masterpieces. Yep, those beautiful sparkling gems were in my office, stuffed in a bottom drawer. Along with two model cars. So now, instead of three piles, I had four. At the end of the day I had 7 piles. One for each son, along with the keep, toss and donate piles. Do my kids want these boxes of things? Especially my daughter-in-laws? I have no idea, but I do know, they don't need to clutter up my house any longer! They can make the decision to keep or let them go. Then I realized, I am that kid too. Those endless shopping bags from my mom, filled with things from grandma and her are exactly the same thing. Which freed me of the guilt to keep those silly postmaster lists from the 70's and the other random "stuff" that have made the trek to my house in one of those bags. After a week of cleaning, sorting, tossing and donating the house feels amazing! And the items we were able to donate will hopefully bring a smile to someone who can use them! Like those funky shoelaces maybe? Design lesson of the week, goes back to William Morris's quote at the beginning, "Have nothing in your home that you do not know to be useful, or believe to be beautiful." Seriously, if it doesn't serve a purpose in your life either utilitarian or emotional or it's not beautiful, it's time to say, "Adios amigo!" I've walked into clients homes who said, "This has to stay, but the rest can go, I don't know why we even have it. I suppose it was to just fill space." Then I ask, do you have any collections or art stored away in closets or cabinets you would like to display? And you know what? EVERY time the answer is YES! So why stare at "stuff" that brings you no joy and pack away your treasures to only enjoy every now and then? Do yourself a favor right now, go through your house and find 20 things to throw away, those broken items you've been meaning to fix for the last 10 years is a good place to start, or those worn out shoes in the back of the closet, or check out the expiration dates on your condiments in the fridge, (eww!) you get the idea. Then go through again and find 20 things to donate. Make room for what brings you joy. Now, if your house is anything like mine was, 40 items won't make a big dent. But if you dedicate a minimum of an hour a week to go through your home, drawers, closets, shelf by shelf, and do this exercise, before you know it, you too will have the beginnings of your true home, filled with your personal style, your own sanctuary and retreat from the world that brings you peace and happiness everyday. And if Suze is right, abundance as well! Here it is the middle of October and we are still waiting for our first real snow fall of the season, amazing! It has been a treat enjoying the longer fall season this year! Of course, with all of these fall and Halloween decorations and my pumpkin tea mean the holidays are approaching quickly! It may still be just over a month until Thanksgiving... yes, I said a MONTH! Then you know as well as I do, it is a roller coaster from there. Ok, focus, I know I just sent your mind in a million different directions, put down that cookbook, you will have plenty of time to sort out your recipes later. First, is your home ready for your holiday guests? What about that guest room? Has it become a miscellaneous junk magnet? Is it housing leftovers from that end of summer party? Now is the time to take inventory and whip it into shape! Before we get to the list, you'll want to clear out anything that doesn't belong in the guest room and give it a good deep cleaning. 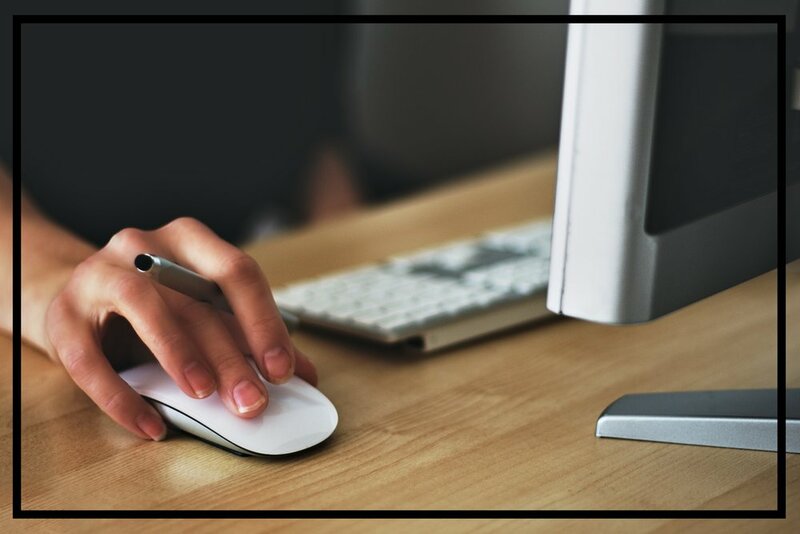 If it is your home office, tame your desk and file your paperwork away, clear any flat spaces for your guests and make sure there is plenty of room to move around, so if the treadmill needs to be moved to your room or the basement, now is a good time to get it squared away. 1. Furnishings & Decor - Your basic essentials for your guests. A comfy bed of course, comfy for a good nights rest, but ok, so maybe not too comfy you wouldn't want them to over sleep their alarm to catch the airport shuttle back home! Nightstand and preferably two if both sides of a queen or king bed are accessible. It doesn't have to be a traditional night stand, it could be a stack of old suitcases, or a short shelf, or a cube. Something you can set a lamp, alarm clock, phone and glass of water on. Luggage rack or bench at the end of the bed for their luggage. Simple right? Decor - Is the room looking a bit tired or unwelcoming? A quick coat of new paint can help. So can a few pieces of tasteful artwork, even your own photos work, wall decor, or a mirror. A few accessories and decorative pillows, etc. You want your guests to feel welcome, yes it's ok to go the extra mile. Keep in mind, if you decorate your whole home for the holidays, seasonal decor can help spruce up your room as well. Have fun with it! 2. Fresh linens - Back to that comfy bed! If you're in my house, the sheets are always either super soft and comfy sateen or flannel. A pretty bedspread, quilt or comforter or a combination and blankets, have extra blankets available so that they can be easily found if needed. Plenty of pillows! It's always a good idea to have different comfort levels as well, a firmer and a softer one and keep in mind of any possible allergies. If your bed has been sitting there made up from your last house guest and it's been more than a couple of weeks, the sheets are probably not as fresh any more. The week or so before your guests arrival, strip it and toss them in the dryer with a sachet or dryer sheet to freshen them up! Towels, plenty of fresh, clean, fluffy towels! If your guest room does not have an attached bath, roll up towels and leave them on the bed so that your guest do not need to feel like they are snooping around looking for a towel or washcloth. If your guest bed is an air mattress of any kind and you do not live in the tropical southern regions of the world, add a heated mattress pad to your list of linens. Preferably one with duel temperature controls. In cold climates, it can take up to a week for the air temperature in the mattress to get even close to comfortable and if you keep your home cool during the day, the floor is colder and will not warm up. Since the cold is radiating from the mattress, no amount of blankets on the top ever help and by 3 am, teeth are chattering. Even the fleece blanket below the sheet isn't working anymore. Trust me, been there done that! The heated mattress pads block the cold and provide a comfortable nights sleep for your guest. Remind your guests to "warm" it up about 30 min before retiring for best results. Bonus they get to crawl into a warm bed instead of icy sheets! P.S. This is also a lovely treat for a regular mattress if you live in snowy cold climates like we do! 3. Storage - If your guest room closet is where you also store seasonal clothing, etc. Make sure you make some room and leave extra hangers for anything they would like to hang up. Same for a dresser, clear out a drawer or two. 4. Electronics - Even though most guests will use their smart phones, it's nice to have a simple alarm clock just in case. Speaking of smart phones those puppies need power! So, if necessary make sure there are plenty of outlets for all the gadgets to charge, maybe add an extension cord, a power strip or a 3-way outlet. Be careful, not to get overloaded! It's ok to disconnect a few things to reduce the overload. Your wi-fi password! Pinterest has several examples of cute ways of printing it out and framing it for the guest room. Lighting, even if there is an overhead light in the room, provide a lamp by the bed for reading, nothing is worse than trying to walk back to bed in a dark and unfamiliar room. Remember your grandma's nite lites when you were a kid? Yep! Leave one turned on in the bath so that your guests can find it with ease. Now there are ones that have solar sensors that turn pin when it's dark, one less thing to remember. 5. Creature comforts - Fresh flowers or plant in the room, keep in mind your guests, any allergies and of course be careful if there are little ones coming! A small tray with a couple of glasses and either a carafe or bottled water and maybe a few packaged snacks. Reading material, maybe a magazine, a photography book or if you're in a resort area like we are brochures and maps of area attractions. A scented candle and matches. The list goes on and on! Think about when you stay in a hotel, think of the things you need at night and in the morning, etc. Of course, once you have your home ready, it will be easy to decorate, party, plan, shop, and cook! Yea right, at least it will be one thing off your list and it will be ready to go! If this still seems overwhelming, contact us for assistance! Whether your near or far, we can help you put it all together! So I sat down to write a short blog for preparing your guest room for the holidays and what happened? So many tips for more than just the guest room came to mind! So, instead of one article, I've decided I'm starting a series for preparing for those holiday guests! This will be the first in the series, so come on back for more or Even easier, click here sign up for email reminders! Easy peasy!